African Divine Church is sorry to announce the passing on of Rev. 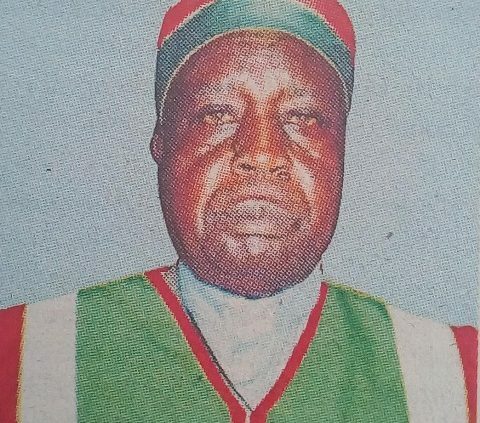 Ibrahim Odera Rombo of Kominde Clan, Nyahera Sub-location, Kisumu County which happened on 30/01/2019. Until his demise, he was the General Treasurer of African Divine Church (E.A). 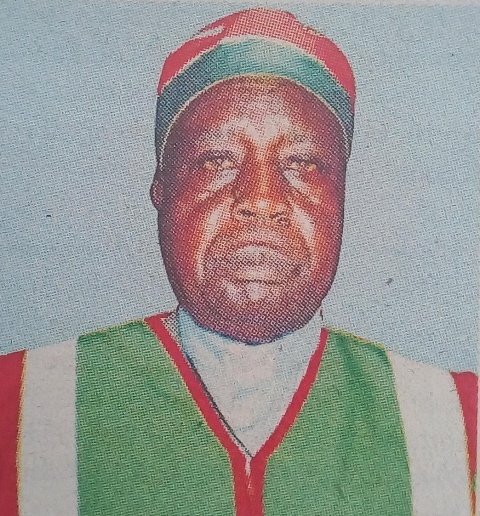 Husband of Mama Mikal Onditi of Kano Kolwa. Father of George Odhiambo, Dorcas Adeno, Mary Aluoch, Lucas Rombo, Elizabeth Aketch, Aggrey Owuor, Lonnah Auma, Nathan Ochiel and Barack Otieno. Son-in-law of Claudio Ochiel and Peres Ndege of Kadilo, Kano Kolwa. Brother of Calleb, Norbatus, Jairo, Johanness, Shen, the late Dr. Ouko, Jeremiah Andiego among others. Brother-in-law of Rosa Ominde, Torkas, Agosa, Prisca, Rosa Gumba, Stephen, Musa, John, Boaz, Samwel among others. Father-in-law of Elizabeth, Rose, Eunice, Eunice, Everline, Calleb Okeyo, Lawrence Ochieng among others. The cortege leaves St. Monica-Ukweli Mortuary on 14/02/2019 for a church service at ADC Konya region thereafter it will proceed to his home in Nyahera for a night vigil. Burial service will take place at the Boyani ADC Mission Headquarters on 16/01,2019, ceremony Led by Archbishop Rev. John S. Chabuga. 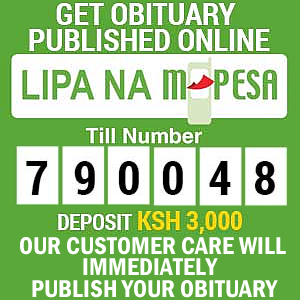 The body will be laid to rest at his home in Nyahera.